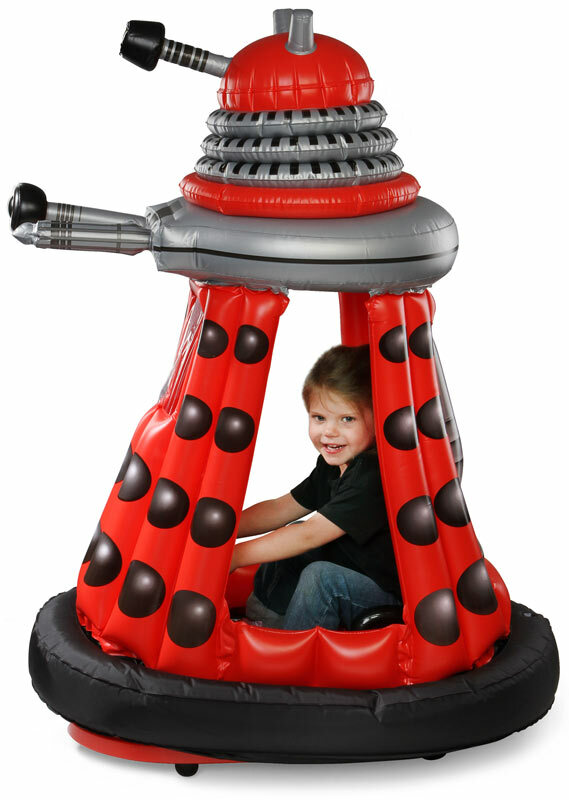 The Doctor Who Ride-In Dalek inflatable riding toy is made for young children 65 lbs. and under (sorry grown-ups!). 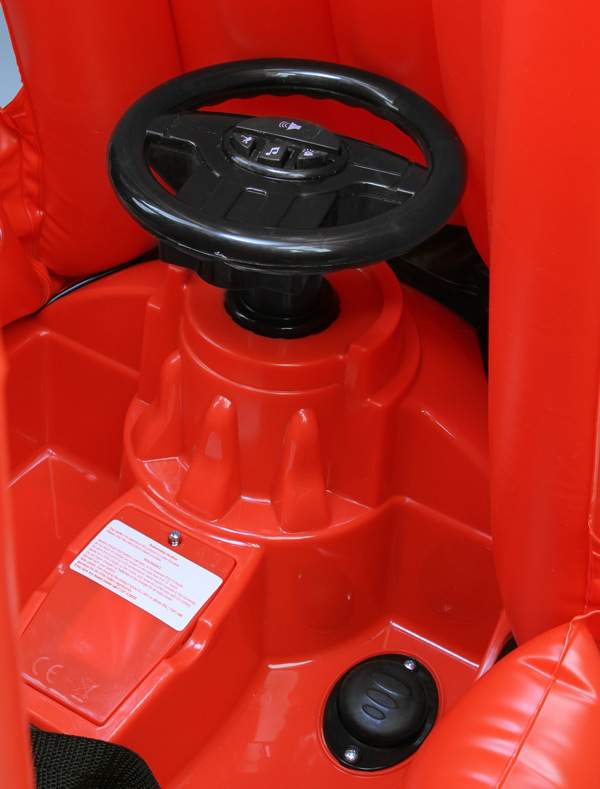 Not only does this toy Dalek whiz around at speeds up to 2 mph but is equipped with a steering wheel that “has buttons which trigger ten authentic Dalek phrases so your wee geek can let people know that their extermination is at hand”.